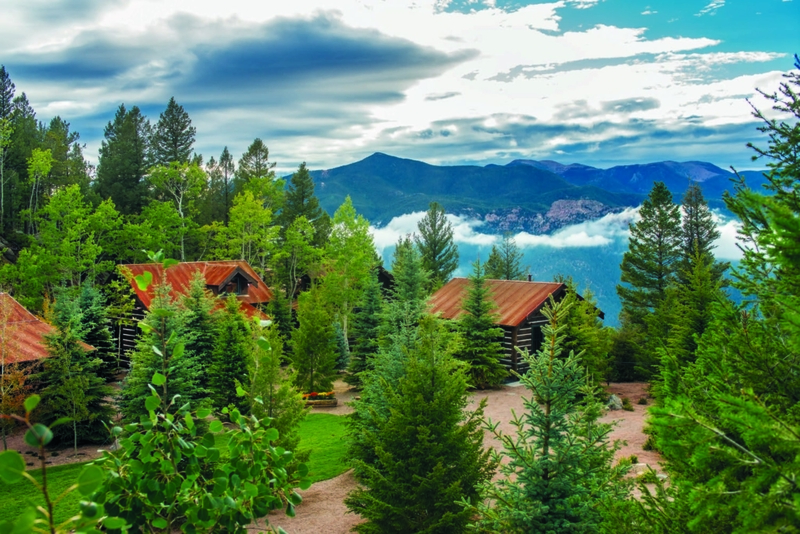 Broadmoor Cloud Camp is the Broadmoor’s newest Wilderness Experience resort set 9,100 feet in elevation at the top of Cheyenne Mountain in Colorado Springs. Designed to look as if the camp has been in operation for a century, Cloud Camp is constructed of log and timber construction. 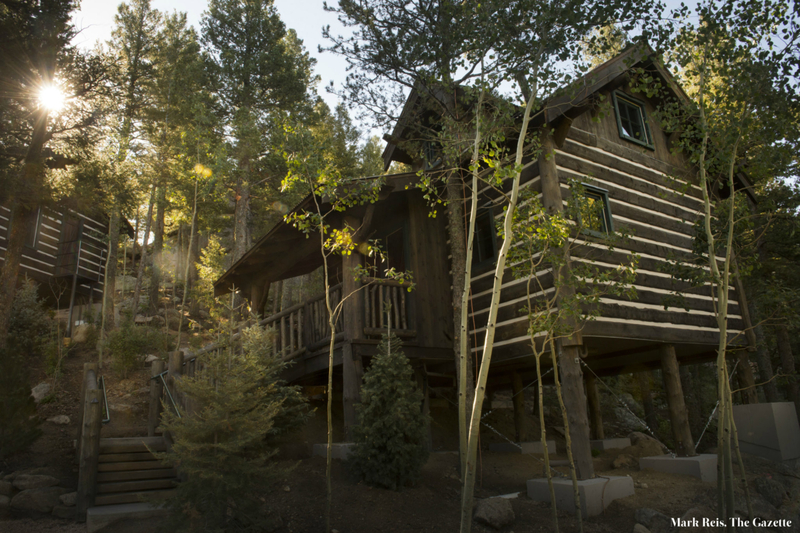 The camp consists of a Lodge and twelve individual guest cabins. 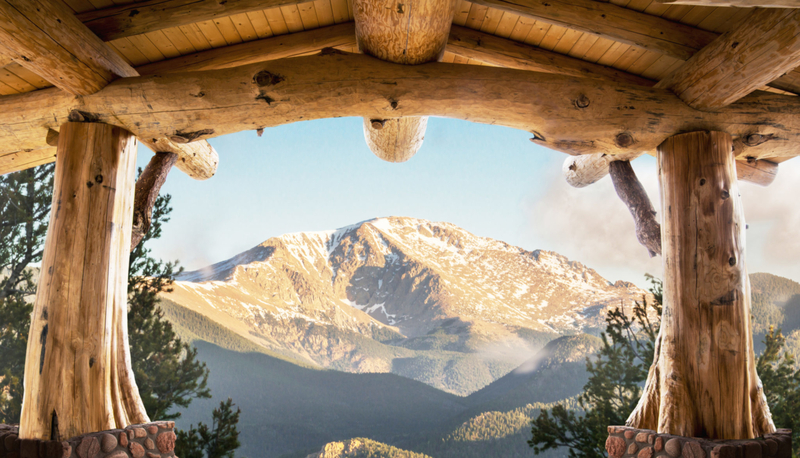 The 7,811 sf Lodge has a wraparound porch, outdoor dining terrace, seven guest rooms, and a full commercial kitchen. Dining is provided in the Great Hall which has two traditional stone fireplaces and features authentic period artwork. The Lodge is set to the east of a community area and fire pit while the cabins are along a winding path to the west embedding themselves into the mountain side. The cabins vary in size including single, duplex, one and two bedroom units. 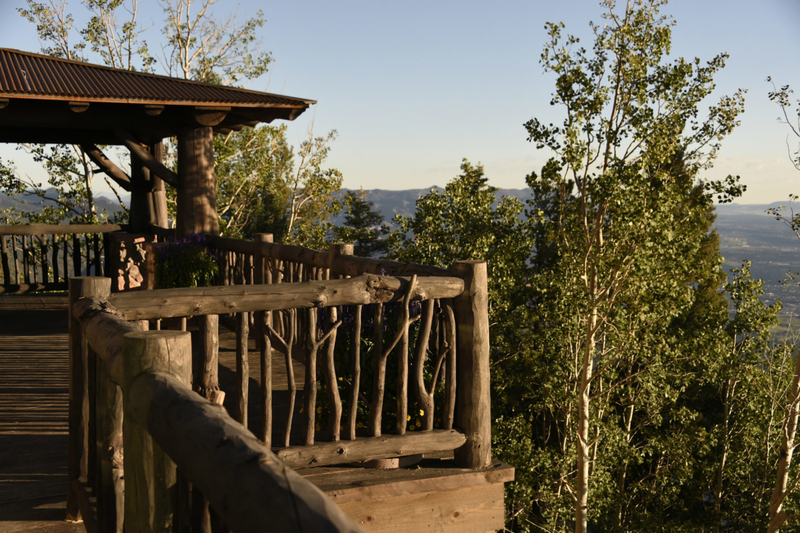 The Lodge and each cabin provides the guests with spectacular views of the mountains around them and the city and plains below. The Fire Tower cabin is set to the south 160 feet higher than the main camp at the highest point of the mountain. It features an observation room with wraparound porch and a guest suite for the adventurous guest.